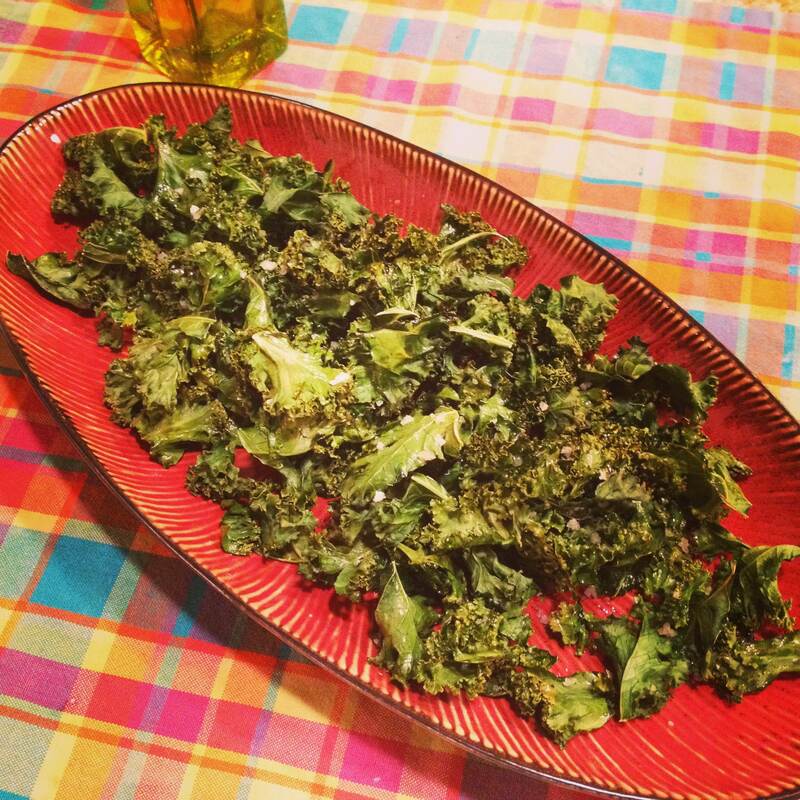 The word “kale chips” sounds like an oxymoron, but I’m now a believer. These things are actually pretty delicious! I made these using fresh kale from my friend’s garden, and chowed down on a bunch. If you need a nice, salty, crunchy snack, you get a bit of a fix without the bag o’ chips. I mean, I’m not giving up my favorite salt and vinegar chips anytime soon, but YOU know. I used a Food Network recipe and it was SO simple, it’s kind of laughable. The key is making sure the kale is completely dry. Otherwise, it will steam in the oven instead of turning crispy and delicious. I made the mistake of over-salting these, so take it easy and add a little, and more if you want it. Don’t obsess about the size of the pieces of kale. Not worth it. Remove the ribs from the kale and cut into 1 1/2-inch pieces. Lay on a baking sheet and toss with the olive oil and salt. Bake until crisp, turning the leaves halfway through, about 20 minutes. Serve as finger food.